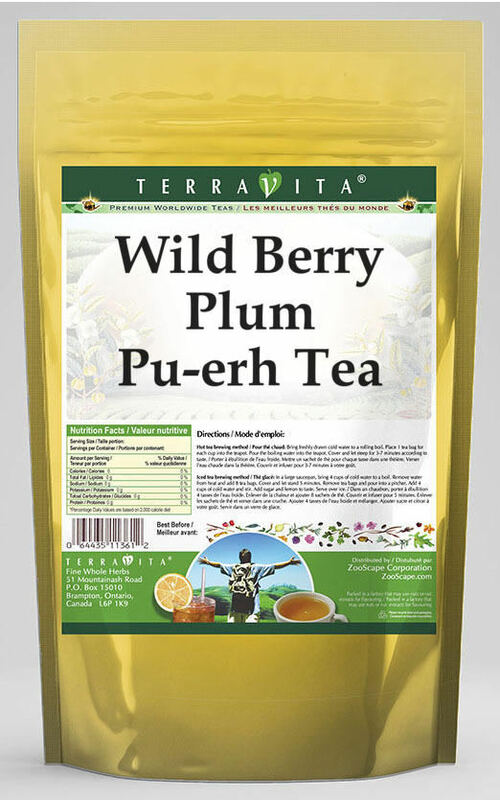 Our Wild Berry Plum Pu-erh Tea is a terrific flavored Pu-erh tea with Blueberries, Pitted Prunes and Blackberry that you can enjoy again and again! You will really enjoy the special Wild Berry Plum aroma and taste! Buy 1 for $9.78Buy 2 / Save $0.52!Buy 3 / Save $1.96! Ingredients: Pu-erh tea, Blueberries, Pitted Prunes, Blackberry and Natural Wild Berry Plum Flavor.